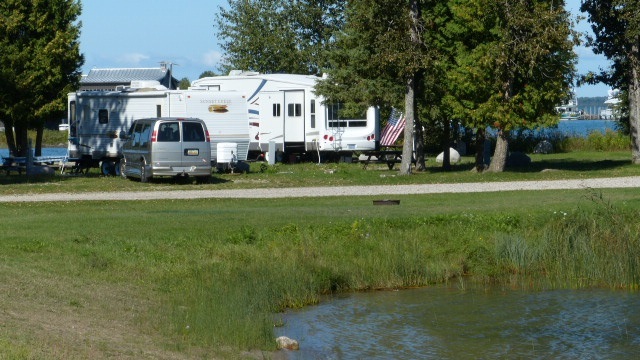 Our campground is located in the center of a private peninsula on Potagannissing Bay with private dock rentals available. 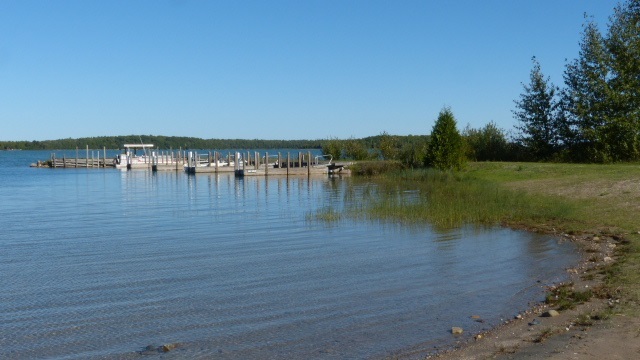 We offer large wooded sites with beautiful waterfront views and a choice of sunrise or sunset views of the bay. 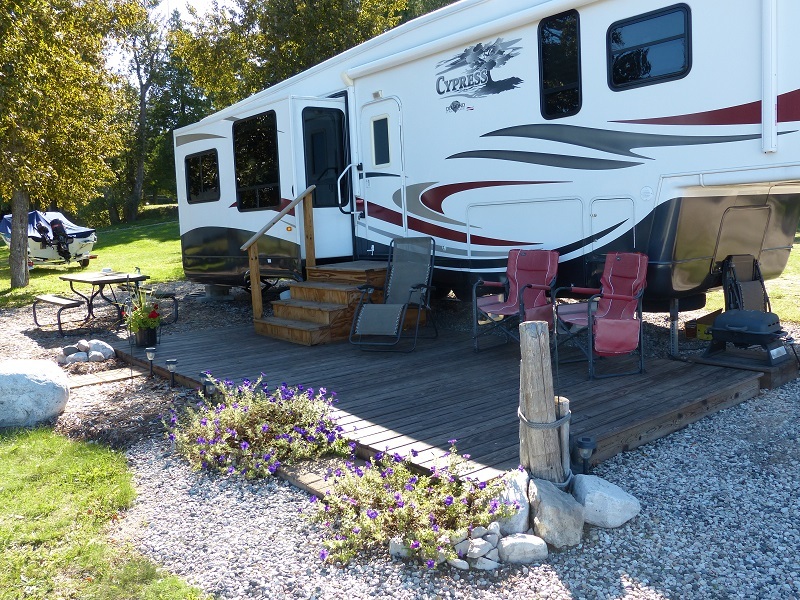 For back to nature campers, we offer a selection of rustic sites. 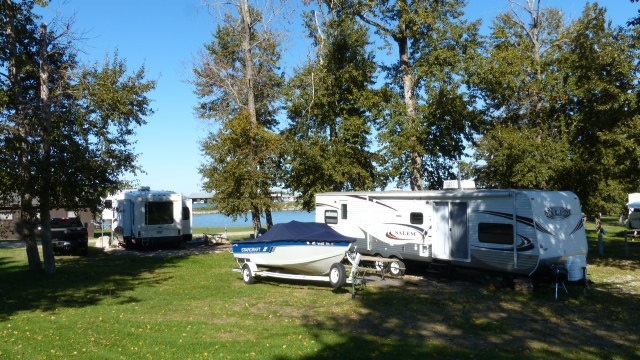 There is a sandy beach, water sports rentals, great fishing opportunities, bonfire pits for roasting marshmallows and telling stories, exceptional star gazing and Northern Lights shows, a play set and ample room to run and explore in a safe environment. 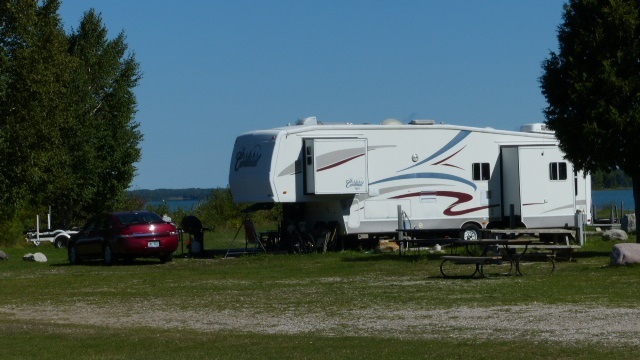 H&H Resort Campground is suitable for any type of camping including motorhomes, trailer campers, and tent camping. 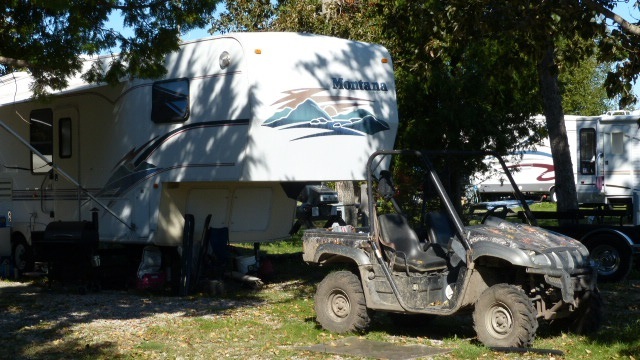 Full hookups are available, offering electrical, water and sewer hookups. 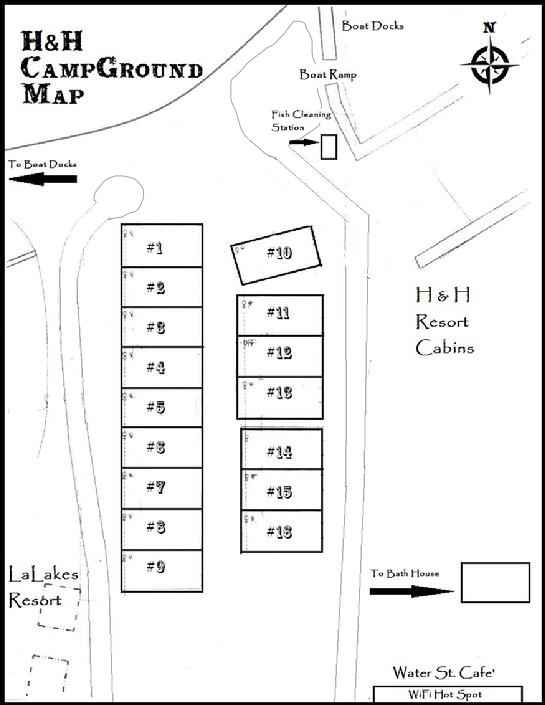 *View our Campground Site Map before calling for your reservation. 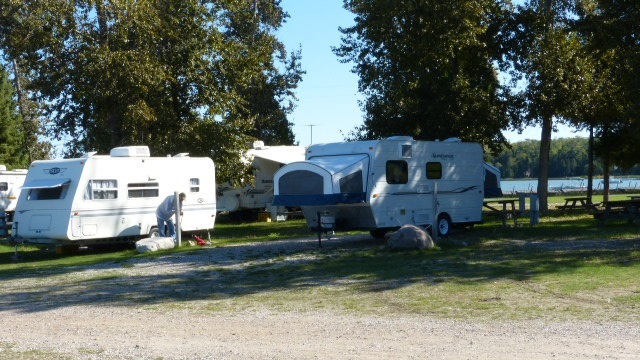 *All campsites include shower and use of bathhouse. CALL OR EMAIL NOW TO RESERVE YOUR SPOT!